By Shenzhen Qianhai Leyi Network Technology Co., Ltd. 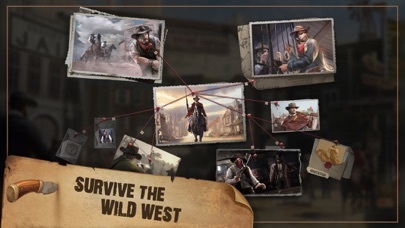 Developer: Shenzhen Qianhai Leyi Network Technology Co., Ltd.
Short Description: The FIRST and ONLY Wild West theme SLG game. You will find everything that a true Western fan expects in this Unprecedented Excitement. Come and experience FOR FREE NOW. 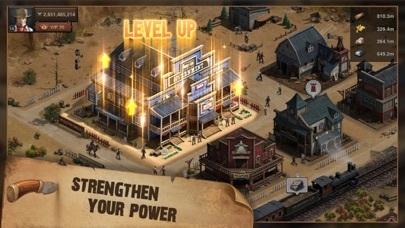 Description Do you have what it takes to be crowned in the Wild West! Build your own town, recruit your own gangs and get ready to fight against players from all over the WORLD. America, 1865, the Civil War just ended, but another war has just begun. Countless dreamers flooded into the Frontier, massing on their heels into the West. It is the beginning of the Wild West era! In order to survive, they must Rob, Steal and Fight their way out of this ruthless land of America. Deception, Betrayal, there are NO Rules in the Wild West. Tangoing among Bandits, Gangs, Hookers, Con artist, Politicians and Entrepreneurs. In here, not only the Outlaws but also the Lawman can sell you out for a fistful of coin. Money, Women, Guns and Gangs, you can earn them all in this Wild West Game, ONLY if you have what it takes to be a true Westerner. 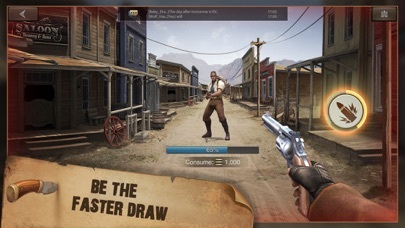 Fight your way out this ruthless Wild West and wrote your own History! FEATURES: - Build and customize your own Town. - Raise a massive army to strongarm your enemies! 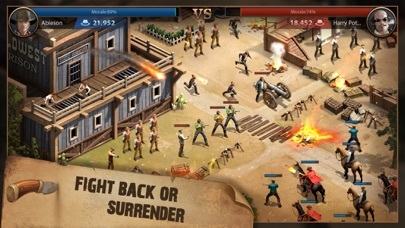 - Command your Sheriff to lead your men to final victory. 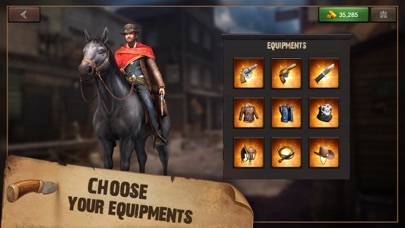 - Recruit the most famous Cowboys or Outlaws to fight for your glory. 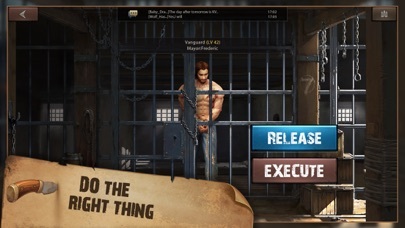 - Battle against millions of players worldwide. - Join a fearless Alliance and Rally Wars against powerful rivals with allies! - Communicate and Discuss Strategies with your friends through in-game Realtime Chat channels. - Conduct Researches to effectively boost the Development of your City. - Forge legendary Weapons for your Sheriff. Equip the greatest commander ever! - Brutal bandits roaming around, defeat them to get rare equipment, materiels, resources totally for FREE! - Participate in various events to win priceless rewards every day. NOTES: - Network connection is required. Good game,you will enjoy it! Make sure you try it to day !!!!!!!!!!!!!!!!!!!!!!!!! Yeah yeahhhhhhhhhhhhhhhhhhhhhhhhhhhhhhhhhhhhhhhhhhhhhhhhhhhhhhhhhh! except it’s not as updated yet but it’s a cool theme with a little more graphics. It’s a nice game if you have time to strategize. Overall it’s pretty cool. Like most games of this type, it’s your build and conquer type game. The game is fair for everyone and you can use strategy to get ahead. Different take on city building/strategy game. A bit glitchy since recent update. Freezes and doesn’t apply credit for adding VIP points. More by Shenzhen Qianhai Leyi Network Technology Co., Ltd.
Shenzhen Qianhai Leyi Network Technology Co., Ltd.